This recipe is super easy and I always have t he ingredients on hand. 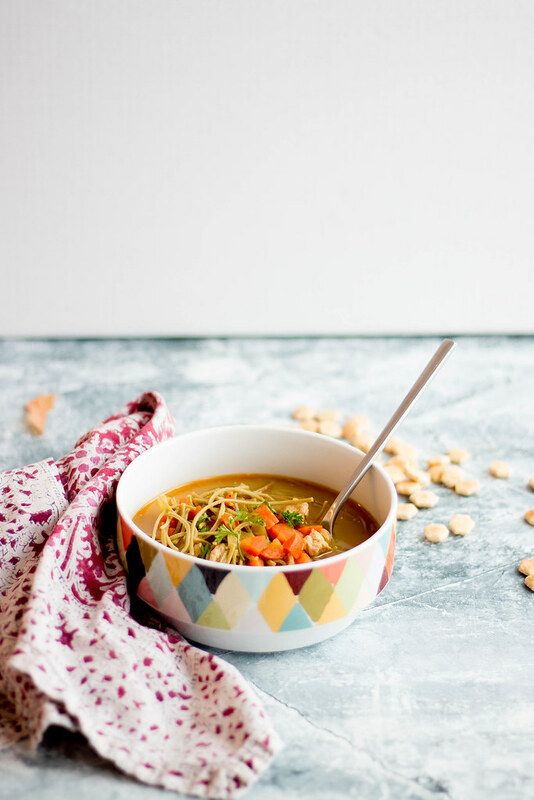 Any noodle will work and in place of vegan chicken you can sub in chickpeas. 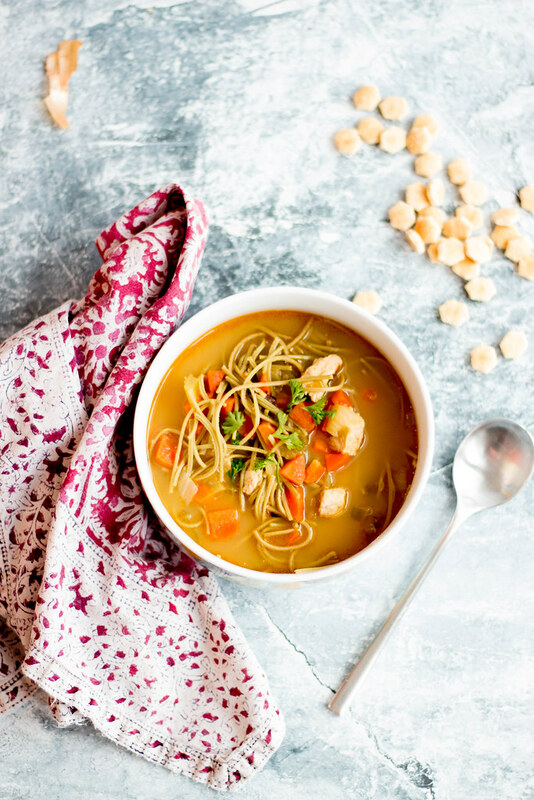 The Broth is enhanced with a healthy dose of nutritional yeast turning the soup a gorgeous shade of gold and miso adds depth along with that all important umami. Edamame noodles hold their shape extremely well and I absolutely love chewiness of the noodles. In a soup pot over medium high heat add olive oil. 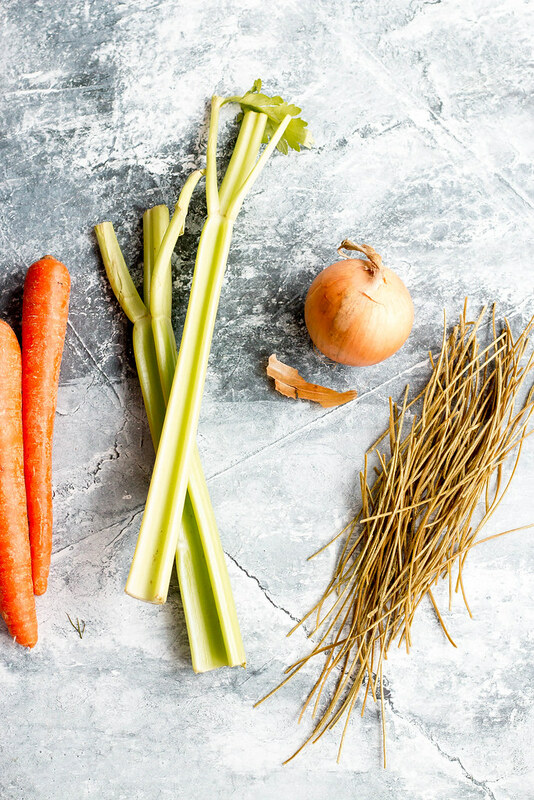 Add carrots, celery and onions - salt to taste and cook until onions begin to soften. Add in vegan chicken and cook an additional 5 minutes, stirring to ensure nothing sticks to the bottom of the pan. Add broth, miso and nutritional yeast. Bring to a boil, then turn down to a simmer and cover. Simmer soup for about 30 minutes. Add pasta and cook according to package- I like to cook a few minutes under. Turn off burner and allow to cool prior to serving. Leftovers store well in an airtight container in the fridge for about 3 days or freeze. 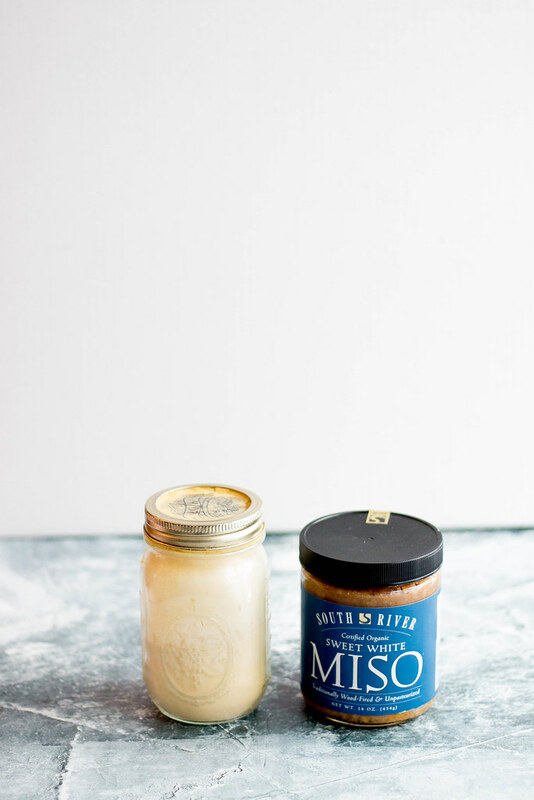 I wonder if it would be OK to use regular Miso paste. Can you tell me? Thanks for delicious recipe. This dish looks yummy and healthy. 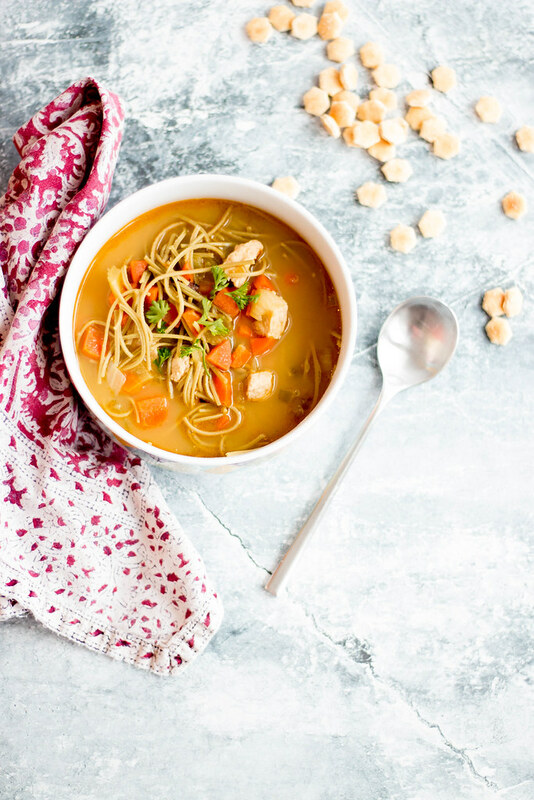 I am a writer and I am suffering from diabetes and I am looking for a healthy chicken noodle soup for daily use actually I have to Write My Marketing Dissertation daily and because of lack of I am looking for some recipe. 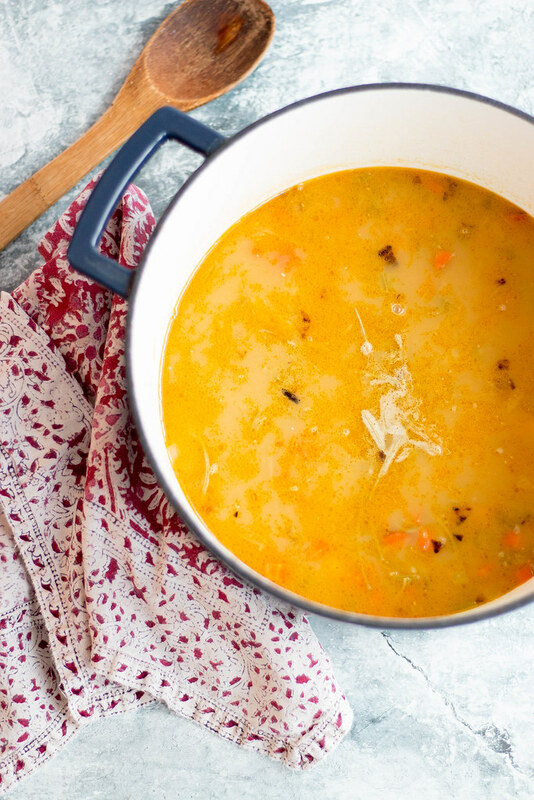 Can make for me or share share recipe of some healthy soup? I'm not sure whether we should call it an "addiction". I mean, sure, his consumption of psychedelics is heavy - staggeringly so, in fact - GetHomeWorkOnline but I'm not sure he's experiencing the kind of compulsion addition entails, and if required he could leave them alone without any ill effects. Great! I use it with this scheme.